Yesterday, I took a look back at what I deemed some of my personal blogging highlights in 2010. Posts that made me think, and sparked commentary, and were a pleasure to look back on. Today I turn my attention to my reading highlights of the year - the best and the worst, and even the middling. I'm following Greg Zimmerman of The New Dork Review of Books in lumping these into lists of two, because I must be cynical like him and assume we all have the attention span of a gnat. That and we're all sick of "Best of 2010" lists (personally, I stopped reading any but other blogger's lists, because they do get old). Greg's list, by the way, is probably more worth checking out than what's below. 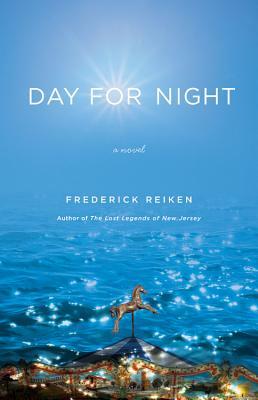 Day for Night: Clever, unique, thought-provoking, stimulating, rich, deep, thoughtful. 'Nough said. Letter to My Daughter: One of the first books I read this year, and still with me today. 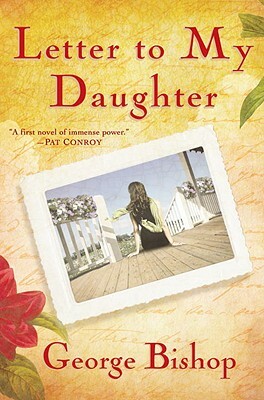 Short but poignant, George Bishop perfectly captures the turmoil-ed relationship between mother and teenage daughter. (If I allowed myself three in a category, I'd have to put One Day by David Nicholls here, too). Shadow of the Wind: This might be the ultimate thriller/mystery/literary novel for booklover's: one part ode to the power of books, one part powerful romance, one part twisting mystery. 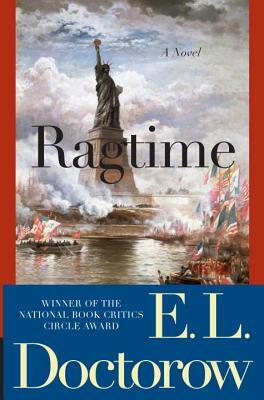 Ragtime: E.L. Doctorow is a true master of words. But then, we all knew that already. 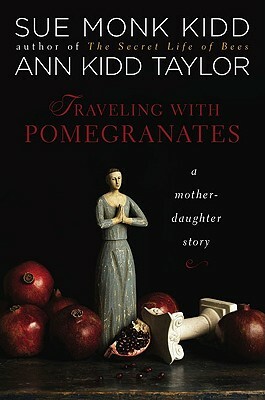 Traveling with Pomegranates: I found this book so enjoyable - and so timely in my own life - that I couldn't even review it. I was far too biased to give it any kind of accurate assessment. The memoir, written by Sue Monk Kidd and her daughter, Ann Kidd Taylor, explores the relationship between a just-turned-50-year-old mother and her 20-something-just-engaged daughter. Timely, indeed. Worth the read for any mother or daughter. What's more, it sheds a lot of light on Kidd's first novel, The Secret Life of Bees, which I also enjoyed thoroughly this year. 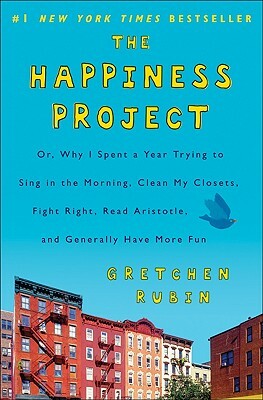 The Happiness Project: Gretchen Rubin's memoir of her year of happiness resolutions avoids the common trap of self-help books in that it is never prescriptive or preachy. Gretchen's Happiness Project blog is also worth checking out. 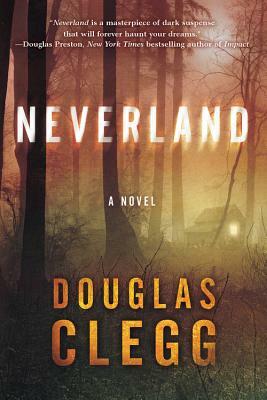 Neverland: I don't read a lot of horror, and this is why: a well-executed horror book makes you want to sleep with the lights on, never stay home alone, and bury your head under your pillow all at once. Poorly executed horror is just painful. Douglass Clegg stands firmly in the first camp. (Reviewed on Bookgasm). 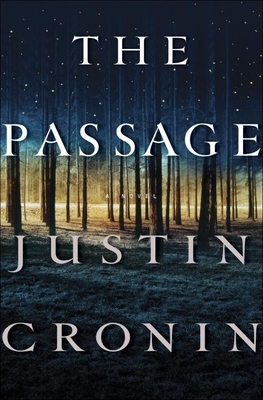 The Passage: Justin Cronin hit the nail on the head with this one, combining post-apocalyptic America with government conspiracy, a creepy, prescient little girl, vampires, a spreading virus, and a battle for survival. I absolutely cannot wait for the sequel to The Passage. Overall, I think I read about 60 books this year, and reviewed 36. Of these, a mere four were non-fiction. Two - two! - were classics (Alice in Wonderland and Dickens' Christmas stories), though I did listen to Pride and Prejudice, as well. I have a decent balance of male and female authors, but predominantly white (if not all?). Three were re-reads (two from the Wheel of Time series). Of the non-classics and non-audio, maybe 10 were backlist titles. Books lent or recommended by friends and family - remember, books are social currency, and as much as I enjoy pushing my own recommendations on willing or unwilling listeners, I have to start to take more advice as well. Not very specific goals, I know, but I don't do well with strict to-read lists. Consider these more like guidelines to influence my next book of choice. What were your favorites of 2010? What did you learn about yourself as a reader by your selections this year? What are your goals for 2011? Great list. I loved Shadow of the Wind as well, and now I've just added The Passage to my TBR. I made a little breakdown of what I read in 2010 and decided for 2011 I want to read more non-western authors and a bit more non-fiction. Hey, thanks for the links! 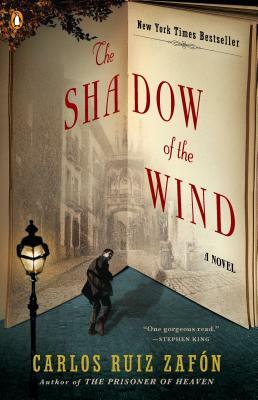 Shadow of the Wind was one of my backlist favorites of 2010, too. For memoir, I really enjoyed Sean Wilsey's Oh The Glory of It All - a surprisingly fun read, which Franzen recommended. I don't do well with strict to-be-read lists either, so my goals for a new year are usually restricted to only a few (though in this case, ambitious) titles - Gone With the Wind, War and Peace and Anna Karenina. Brenna - I hope you like The Passage! I have several of these books on my TBR and my wishlist. I'm expecially keen to read My Name is Memory. Traveling with Pomegranates has been on my shelves for far too long. Andi - Traveling with Pomegranates is really good. Again, I was biased because it was just so timely for me (and my mom!) but it really did strike a cord. Hope you enjoy it! One of the reasons I dislike end-of-the-year summaries is because I always find myself trying to dictate how my reading will go. Ultimately, reading is supposed to be fun. Meaning: I don't want to set goals I won't enjoy aiming for and therefore drag down the reading experience. I perfectly understand why you gave yourself broad, general goals. In a sense it's better that way. Good luck with these guidelines. Let us hope that 2011 will be a good reading year for all. Biblio - Glad to hear I'm not the only one! I hate to dictate my reading, but I do want to be a bit more conscious in my reading selections. Hi Kerry - I enjoyed your lists. And I was so glad to have read "The Passage." I am reading Oprah's recent (and last) choice - "Tale of Two Cities" (followed by "Great Expectations"). Took about 30 pages to get into TOTC, but I think I am hooked. And now I am thinking the classics might be a good way to go! The only other Dicken's I have read is "A Christmas Carol", which I never actually read until I read it aloud to one of the girls many years ago. (And, by the way - I don't regularly read Oprah's picks [for various reasons], but I felt drawn to this.) Have a Happy New Year! just found your blog - i'm not sure how, one of those click a link, then another link, then another deals - but so glad i did..i'm looking forward to reading your reviews in the new year! To be honest, my only goal for this year is simply to make more time for reading. With two jobs, I often find myself blanking out, just wasting time surfing or on Twitter, when I'm not working. But I could be reading. I have no idea how many books I've read, no clue what categories and such. I read only what I feel like. The problem with that lately is that I feel like reading everything, all at once. So I have started quite a few. I also have books I agreed to read for publishers or authors, books I have to read for the book club I'm leading at work, and books I asked for from publishers. I'm woefully, embarrassingly behind. That said, if I have any other goal for 2011 it's to stop stressing about trying to keep up. There are people who read a book a week or more consistently, one after the other. Sometimes I regret joining Twitter because seeing the relentless notifications of someone finishing and reviewing a book can make me feel terrible. I don't know how they do it, but I suppose it's about priorities. And I do want to read more, like I used to before I made myself so otherwise busy. Anyway. As for what I read, just whatever interests me, no matter what kind or by whom (though more classics, I think), and I would like to remain open to the suggestions of fellow book bloggers and publicists and customers at the bookshop. But I mostly want to read stuff that I am pretty sure I'll enjoy, to be honest. I'm reading The Art of Racing in the Rain by Garth Stein for the book club and it wasn't my suggestion: I don't want to read it. I'm afraid of it because my dog is my baby. I'm dreading the emotions the book is sure to bring out! And now to stop hijacking your comment section!! Ann - Glad you liked The Passage! Let me know what you think of TOTC/Great Expectations. I'm aiming to read more Dickens this year, if possible. I've heard Bleak House is excellent. Ellen - Thanks for the recommendations, and for stopping by! Hope you'll keep coming back! Steph - That wasn't comment highjacking, it was wonderful! I love the sentiment, and the goal of making more time to read. I guess that's like a lifelong goal, really, but an absolutely worthwhile one. And I, too, am terrified of being that person that gushes about books but hasn't read any of them. Must. Find. More. Time. Or make it, if it isn't there to be found. Looking forward to more great bookish discussions this year!! What Are Your Top 10 Favorite Penguin Classics?